Raising a kitten is quite a rewarding experience and is among the most exciting things to do. While it is fun, it can be quite a demanding job at times. It is quite like raising your own children – you will have to understand their needs just by considering the moves they make. It is for this reason that many people with newly adopted kittens ask advice and suggestions to look after a kitten. As mentioned already, it is a big responsibility to raise a kitten. Here are a few important things to understand. Many people do not understand it but the age of your kitten is important. If you are sure about the age of your kitten, you will be in a better position to understand their exact developmental needs for that age. Kittens have some very specific needs during the first 10 weeks of their lives. It is for this reason that most breeders do not put kittens up for adoption until they are at least 10 weeks old. Be sure to talk to your vet to learn more about it, especially if you have adopted an orphaned kitten that is under 10 weeks old. No matter how hard you try, you will always be in situations where only a professional can help. That is why it is important to find a good vet and stay in touch with them while you are raising your kitten. Ask friends and colleagues for referrals or use the internet to look for the most experienced vet in your local area. Dog walkers and groomers may also help you in this regard. One of the most important things about how to look after a kitten is to shop for quality food only. Understand that feeding your kitten is not as simple as dropping by the nearest convenience store and buy a bag of cat chow. Growing kittens require more nutrients and calories as compared to adult cats, so you need to put your money on the quality food only. Be sure to read the package when making a purchase to ensure it is nutritionally complete. It is important to set up a feeding schedule and stick to it. Talk to your vet to confirm you are not over - or under-feeding your kitten. You should be feeding your kitten thrice a week when they are between 3 and 6 months of age. Scale it back to twice a day once they are older than 6 months. Make sure that their water bowl is always filled with fresh water – do not give them too much of milk when they are young because they cannot digest it properly. Most kittens learn to use a litter tray by following their mother. You may need to show them where the litter tray is when they are still very young. Keep that tray close when you see them scratching, sniffing, or beginning to crouch. You can also keep the tray inside the cage, if that is what you are using. Just ensure that you do not place it close to food and water bowls or your kitten may not use it. Just like paying attention to food and all, it is equally important to make your kitten familiar with grooming from an early age. This is a very important step regarding how to look after a kitten. Grooming is very important, especially when your kitten has a long coat. These kittens require daily attention to prevent tangled fur. Grooming will also help get rid of excess loose hair that often creates problems related to fur balls. Once your kitten becomes accustomed to grooming, they will actually love being combed and brushed when they grow old. To understand how to look after a kitten, you need to learn how to make it a comfortable home for them. Make sure your kitten's bed is dry, warm, and comfortable. It should be draught-free and a safe place for kittens to go when they are tired. You can use a strong cardboard box or buy a bed from a pet shop. Use soft bedding to make it a warm place to rest. You may have to put them under a blanket with a warm water bottle that may help a kitten not miss their mother. Always pet your kitten frequently to make them used to it. Bring new toys for them to play with. Let them play and walk on different surfaces, including linoleum, carpet, and more. Take your kitten outside with you, but be sure to talk to the vet about it because kittens need to be vaccinated properly before they have any outdoor exposure. Let them play with objects like paper bags and boxes. Play with your kitten while enjoying loud music. Make them familiar with noise. Ask your friends to play with your kitten and give them treats. Give them an alternative to scratching, such as scratching posts and praise them when they use it. Never let them scratch or bite during play. Invite your friends over with their cats and kittens and let yours play with them. You can even join kitten socialization classes. Help your kitten become used to their carrier; give them treats to keep them interested. Always appreciate and reward them for their friendly behavior. Do not hit your kitten; simply ignore them for their bad behavior. Learning how to look after a kitten will help you understand how to raise them well and keep them in good health. Take them to a health checkup soon after they arrive. 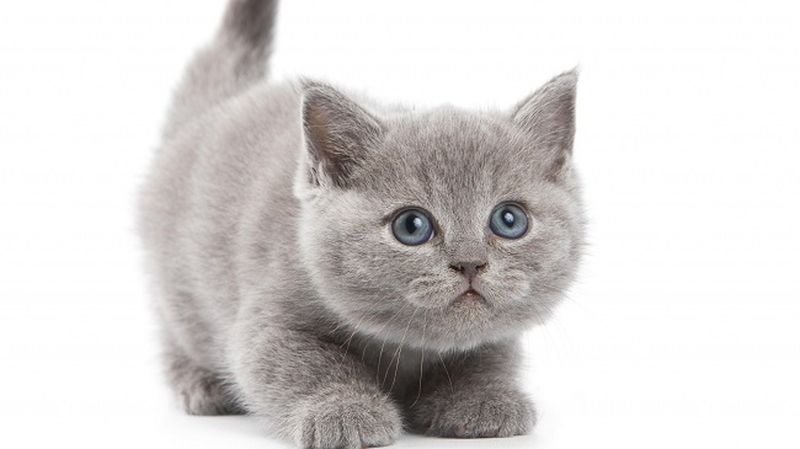 This will also help your vet understand the condition of your kitten. They will also give you nice suggestions considering the current health status of your kitten. They will also advise you on worming, flea treatment, microchip identification, and neutering. Work with them and follow their advice closely to have a healthy kitten. Server responsed at: 04/22/2019 9:07 p.m.